What hobby can you take that involves only a paper and a pair of scissors? Ever heard of psaligraphy? Did you know that Hans Christian Andersen was not only a known Danish poet and author but was a psaligraphist as well? So, what is psaligraphy? Simple – it is a simple craft work with paper and scissors. 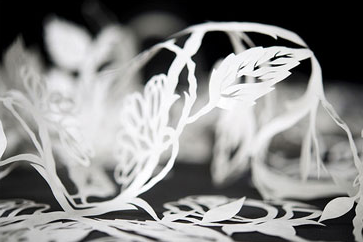 In Denmark, the simple art of paper cutting begun from the old tradition of Gaekkebev. It is the letter sent during Easter season to a person you love which includes paper cutting with a verse. This tradition was also observed in Norway and Germany during the 1600s. In Germany, it is known as Scherenschnitte, meaning scissor cuts. Although psaligraphy is not a European invention, other countries had this type of easy paper craft in their history. Paper cutting was a folk art in rural mainland China. It dated back to the second century when the paper was invented By Ts’ai Lun during the Han dynasty under emperor Ho-Ti. The art also spread to Japan, India, Mexico, and other countries. 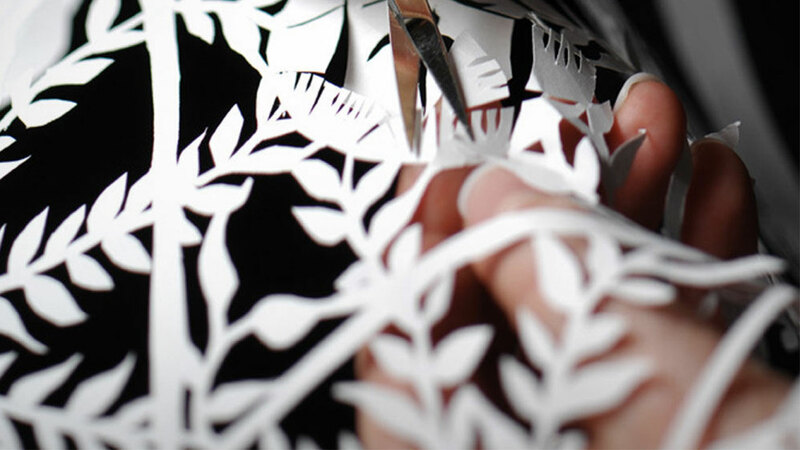 The paper cutting skill requires a ton of patience and imagination. Once you have a design in mind and start cutting the details, there is no turning from it. Once done, the intricate and lace-like design shows a harmony of shapes and patterns. There is no undo button when it comes to psaligraphy. Once you start cutting with either a knife or scissors, that’s it! Some use a scalpel so it is like a surgeon’s work when creating this art. Paper art design cuts can be given as a birthday card or for any special occasion. 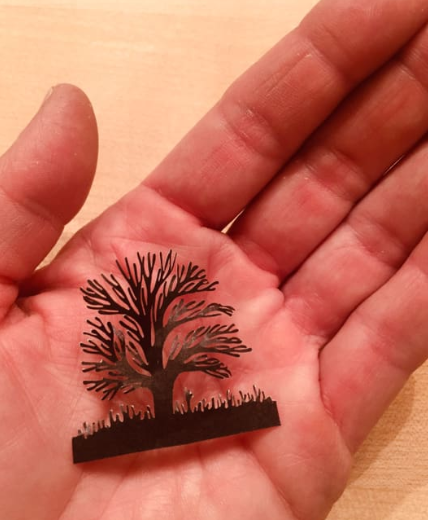 Below are the usual materials needed for this simple paper art, some tips and a few tricks. 1. If using a cutter or scalpel, ensure that the blades are new. 2. Prepare the image from another paper to be glued to the art paper or card. 3. Glue the corners of the image to the card making sure not to put too much since you will be peeling the image after. 4. Let the glue dry for some time before beginning to cut. 5. Decide which areas of the card that will need to be a solid color and the part which should be cut off. 6. Rule of thumb in paper cutting is that an image should have a 3-point support when being cut out. 7. Determine which areas are the background and which areas are the solid parts. 8. Cut first the lines that are thinner and then work on the tight corners. 9. Once cuts on the paper are made, be careful when removing the pieces that are not necessary. 10. If there are breaks in the necessary parts of the image, you can glue a thin piece of paper over the image breaks. 11. Be careful when peeling off the image from the card or paper. 12. Admire your piece of work or sign it just like how artists do. Practice makes perfect. When you are starting with psaligraphy, you will be making a lot of pieces that you will crumple as a sign of disappointment or frustration. As mentioned, it takes a lot of patience to enjoy and be successful in this art form. Might even be a good therapy when it comes to patience.